Norwegian Knitting Designs is off to the printer, and I am on to the next book. I have a couple of projects in mind, and I’m researching for some articles for Piecework. A knitter’s work is never done. So of course, that means knitting for me. Behold Crunchy. 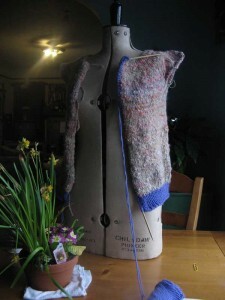 It’s based on Croci by Cosette Cornelius-Bates, on Ravelry at Cosette Cornelius-Bates. 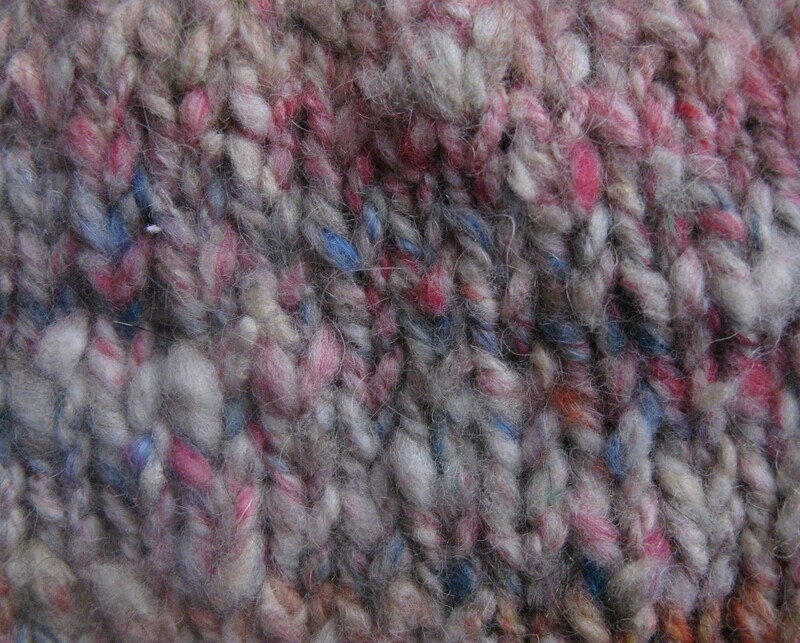 The yarn is handspun, a roving made up of roving and batt ends that I bought at a Black Sheep Gathering in years past. Below are some details of the crunchy yarn goodness.